That’s hilarious. 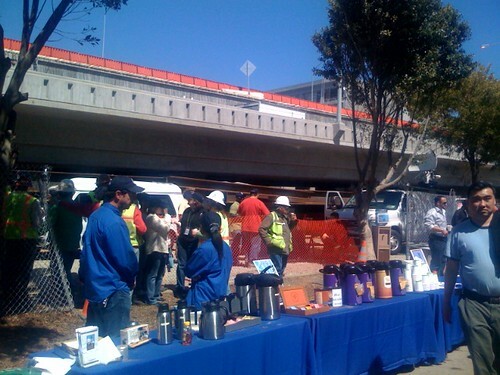 I’m sure there was news media on the overpass, for his speech, but I like to imagine it otherwise. Just an aged body builder saying, “Good Overpass,” standing alone, above the party. 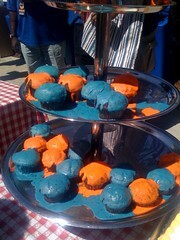 I was particularly excited about the disturbing blue and orange cupcakes. The best part, is that it would appear people were actually eating them, specifically from the far side of the platter that was shaded. Those cupcakes look like plastic. Kind of like the governor.